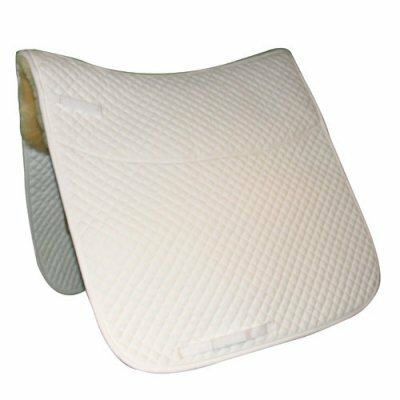 This quilted half pad top is made of cotton twill that has ¾” quilt squares. 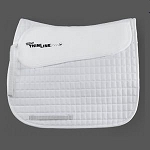 The sides of the pad feature a 22” Velcro type band running the entire length, thus allowing for the sheep skin shim to be moved where protection or lift is needed. 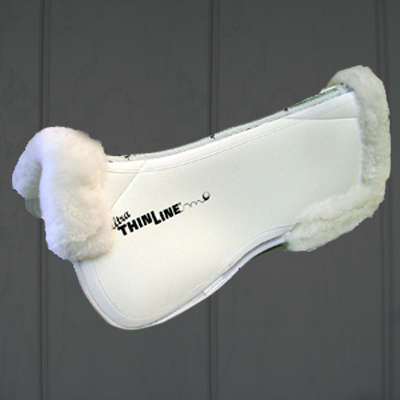 The adjustable-movable sheep skin shims measure 3.5 x 7 inches. 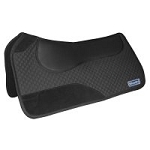 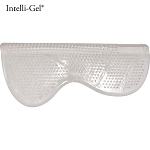 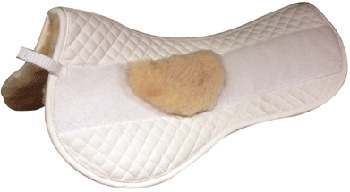 The underside of the pad has luxurious Australian shearling sheep skin for comfort and moisture wicking.